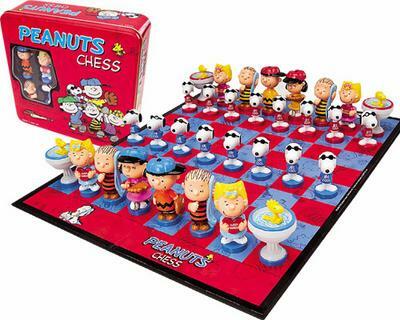 It's the ultimate strategy game with a fun Peanuts twist, and America's favorite loser is the King! The game features 32 beautiful hand-sculpted, hand-painted playing pieces showcasing the most beloved Peanuts comic characters of all time. Charlie Brown with his baseball gear, Sally clutching a valentine for her "Sweet Babboo", Woodstock in his birdbath, Lucy dropping yet another baseball, Linus with his beloved blue blanket and of course Snoopy as "Joe Cool" are all included. Game comes in a collectible tin. 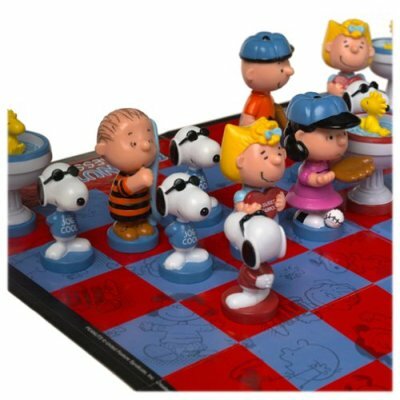 Game includes: custom game board and 32 custom sculpted playing pieces: Charlie Brown, Lucy, Linus, Sally, Woodstock and Snoopy, of course.